Food for the soul: A lot of us have built dreams with people we hoped would be with us forever... Only to wake up in the world of reality that nothin�s permanent in this world. Love comes and goes. Pipol stay and leave... life is a cycle... of findin and losin... of makin and breakin of livin and dyin dat�s how reality bites. There�s a reason why you should visit www.mikeygatal.com. Every month, whoever gets the most number of replies of a certain topic at the forum will get the chance to win P500.00 courtesy of Janet. While the relics of St. Therese of the Child Jesus visited Bohol last week, Catholic Christians from different walks in life have had their faith �renewed.� Pilgrims from other parts of Bohol paid homage to the �Little Flower� who is granting wishes by sending �flower� from the heavenly garden as a message of love. The Dauis town was literally transformed into a center of devotion...and not only people have experienced spiritual recovery but enjoy the place converted into a tourist haven. The Dauis convent has been known for its fine dining and outside the convent there is a mini park which is so sparkling during night time. This is ideal place for wedding, concert and other activities. Many thanks to Madame Bea Zobel, Jr for the help. True spotted Bank of the Philippine Islands (BPI) Tagbilaran manager Deodato Butawan and family, Bohol Chronicle�s Peter Dejaresco and family, Madame Pureza Chatto and daughter Trisha, Vice Mayor Toto Veloso and wife Lura. True (with Eden Descallar, Globe Telecom-Tagbilaran manager) also spotted Madame Tessie Jaya-Pagdato, one of the owners of Baclayon ancestral home (she owns the Sofia Homestay in Sitio Baliaut, Poblacion, Baclayon, Phone: 038-540-9033, Mobile: +63918-6244694). Baclayon is home to a large number of beautiful and well-preserved ancestral homes, some of which date back as far as the Spanish period. Most of these elegant and well-furbished vintage houses originate from the 1920s ands 1930 said to be the �Golden Age� of Bohol. The homes were threatened by neglect, demolition or re-modelling in 2002. The owners and heirs have formed the Baclayon Ancestral Homes Association (Bahandi) in 2002 to give awareness of the need to protect and preserve what is left of the cultural heritage, in Bohol in general and here in Baclayon in particular. (Bahandi is a local term for treasure). Bahandi, which is supported by Bea Zobel de Ayala, Jr thru the Ayala Foundation, organizes local cultural events such as traditional singing contest, festivals and fiestas, supports locals engaged in traditional arts and crafts and actively conducts educational campaigns on culture and history in schools and through exhibitions, while advocating the preservation of historic buildings in town. 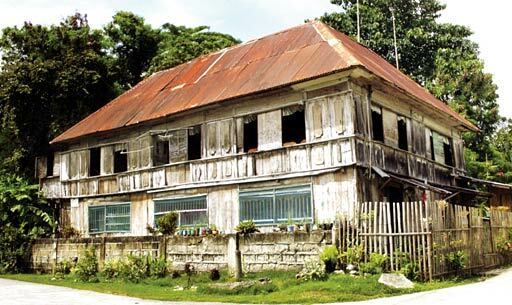 Bahandi members have of late also opened their ancestral houses to local and foreign tourists as bed and breakfast homestays offering the typical Boholano hospitality in a very new and unique way. Homestay program is a bit �foreign� here, but in other parts of the world, it�s popular. In Korea it is called minbak. International students who wish to study in the US, Canada, Australia can avail of the homestay program. All potential host families are interviewed by a coordinator in their home. Only those families that can provide a comfortable, friendly, nurturing and safe environment for students are asked to become host families. Homestay programs are a great way to meet locals on your trip, people who aren�t trying to sell you something or be your paid guide. It can be an enriching experience for both parties and can save the traveler a significant sum of money, especially in places where lodging is expensive. It gives you a chance to see how the locals live and to get an insider�s perspective on the area. The people you stay with often know the best local bargains and the most worthwhile things to see and do. Homestay program is something that�s definitely not suited for most people, but could be really great for others. There are ancestral houses in Baclayon town that are participating in a homestay program whereby visitors can stay, eat, work, and live with a Boholano family to fully experience their fascinating lifestyle up close. A host family provides so much more than just room and board. The family provides a warm and caring environment for the guests. They include the guests in family activities on a regular basis. A host family introduces the guests to their new community. Homestay progam in Bohol is a great way to experience Boholano culture firsthand. There are many families who are willing to hare their home and lifestyle with foreigners and in turn, learn about foreign culture and form international friendships. Host families are available who speak English. Last February 1 and 2, 2008, a group of students from Colegio de la Inmaculada Concepcion Cebu were privileged to have gone to Bohol and visit its magnificient natural spots. I, personally, am too fortunate to be one of those students. Among the spots we visited are Chocolate hills, the Tarsier Foundation, the Butterfly Sanctuary, Loboc River(Loboc Floating Restaurant), Loboc Tour Park Carabao, and the different ancient churches and museums. The highlight of the tour was the stay in the different ancestal homes in baclayon, or the BAHANDI. We occupied six houses together with our teachers. Our stay was made more exciting by the warm welcome and the exceptional accommodations that the owner of the houses offered. Foods were prepared and the rooms were well fixed for us. Thanks to the owners, Mrs. Tessie Pagdato, Mrs. Telly Ocampo, Mrs. Daria Caballo, Mrs. Mayette Javier, Mrs. Mangubat and most especially to Mrs. Cecil Onque-Camba, who accommodated the students in the gathering in their house. Bohol is a natural tourist place and it should be visited by people. The ancestral homes in Baclayon are beautifully preserved and they deserve the care and respect of people. Bohol is, indeed, silently bringing pride to the Philippines. The tour was worthwhile. It brought us to the beautiful spots in Bohol. The tour was highly educational. It was fun at the same time. The natural beauty of Bohol was greatly appreciated from the tour that was done. It's good that there are many preserved homes, churches and museums in the Philippines. For further information of Bahandi and homestay program, you can contact Joie Gilay-Pestelos, +639173041084, Telly Gonzaga-Ocampo, +63920-2097558, Email: fgpestelos@yahoo.com. The colorful photos were taken by Johannes Seian Manzanilla and Erick Akpedonu. 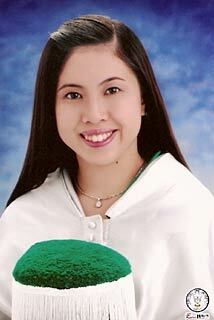 Dr. Edilfavia Mae Suaybaguio Uy tops the 2007 licensure examinations for medical practitioners. She graduated at Cebu Doctors University, College of Medicine, Cebu City. She is the first placer of the 2007 National Board Exam for Physician Licensure. Dr. Mayique Uy is the second Boholano, and second for a Cebu medical school to top the medical board exam. Boholanos are also very proud that Dr. Alfonso Dampog, a valedictorian at Batuan Elementary School and a valedictorian of the Bohol High School Class 1959 with two college scholarship grants, became the first Boholano to be number One in the medical board examinations for Physician Licensure in 1967, after graduating the medical course at Southwestern University in Cebu City . 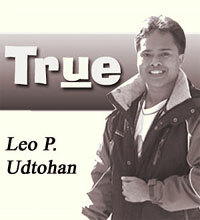 You can email me at leoudtohan@yahoo.com. Or visit www.bohol.ph. This is really a great find - homestay in an ancestral house in Bohol! I'll have to increase my bakasyon savings before it gets fully booked & too commercialized. Thank you very much for the information - this site rocks! Thanks, Leo for this article. Back in 2005, we also stayed in one of the ancestral homes in Baclayon, and it was really nice to live in this old Boholano fashion. I certainly advise it to everybody with a feeling for history. Let's hope that will help raise funds to restore all ancestral homes to their former glory. your comments on "Homestay program in Bohol"